Homemade muffins too fussy? Nope! 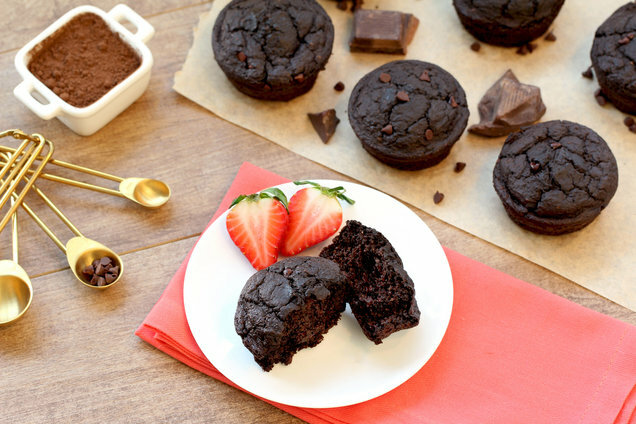 With this recipe, you get incredibly delicious chocolate muffins without even using a mixing bowl. Plus: It’s chocolate that’s perfectly acceptable to eat for breakfast! Pulse oats to the consistency of coarse flour in a blender. Add all remaining ingredients except chocolate chips. Blend at high speed until smooth and uniform, stopping and stirring if needed. Fold in 2 tbsp. chocolate chips. Add batter to muffin pan, and smooth out the tops. Sprinkle with remaining 2 tbsp. chocolate chips, and lightly press to adhere. To Freeze: Tightly wrap each cooled muffin in foil or plastic wrap. Place wrapped muffins in a sealable container or bag, seal, and store in the freezer. To Thaw: Unwrap, and place on a microwave-safe plate. Microwave at 50 percent power for 1 minute, or until it reaches your desired temperature. Or just refrigerate overnight! Hungry for More Blender Recipes? It’s February, National Bake for Family Fun Month. What’s more fun than mixing up batter in a blender?! 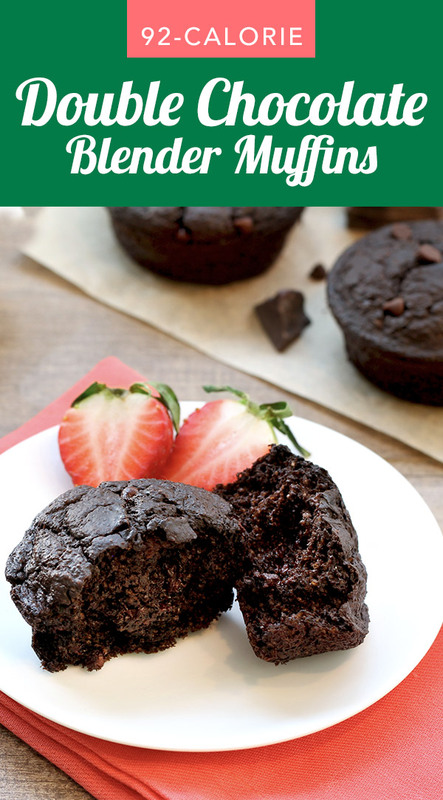 You KNOW your buddies would love some calorie-slashed chocolate muffins... Click "Send to a Friend" now.